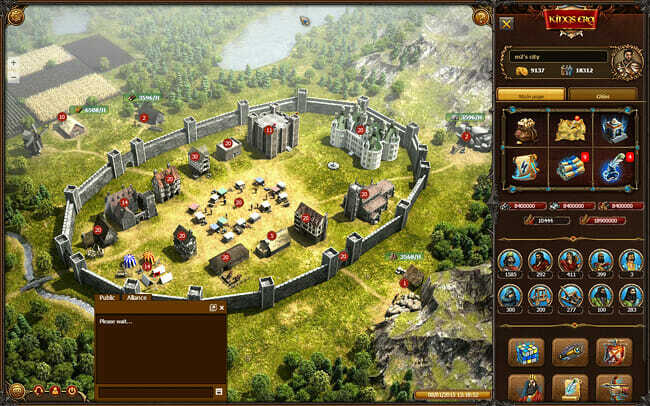 Kings Era is a free to play browser MMO that has been brought to our screens by TSIT Games that could potentially reward you with some real cash. 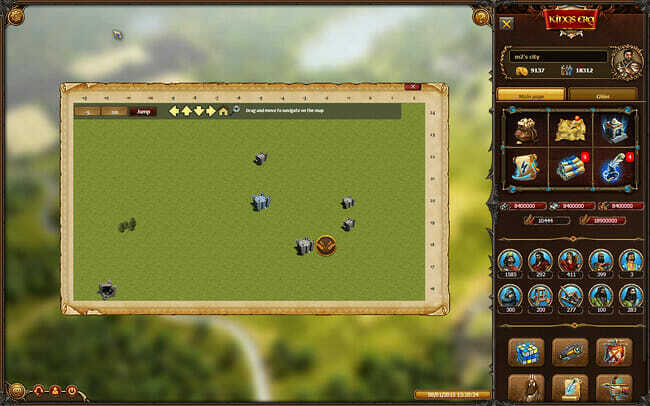 This medieval strategy game allows you , the player, to undergo many adventures as you try to rebuild what was once a small and peaceful village that has been overcome by evil creatures. As you would expect, you take on the roles of both the military commander and the leader of the village and are tasked with rebuilding that city, building up a powerful army and keeping those creatures at bay. However, whilst you obviously have to worry about the games AI enemies, you also have to worry about the many other players that are building their very own empires. On top of all of this, there a number of challenges that you and the other players can take part in, all aimed at determining who are the ones that could be the worlds savior. When you start out, it can be a rather demoralizing experience as you start with practically nothing in your village. You have to start from scratch and hopefully turn your empty patch of land into a formidable village that has a powerful army protecting it. You will have to first choose which ‘specialization’ for your character and your choice will have some noticeable effects on how you will play the game. 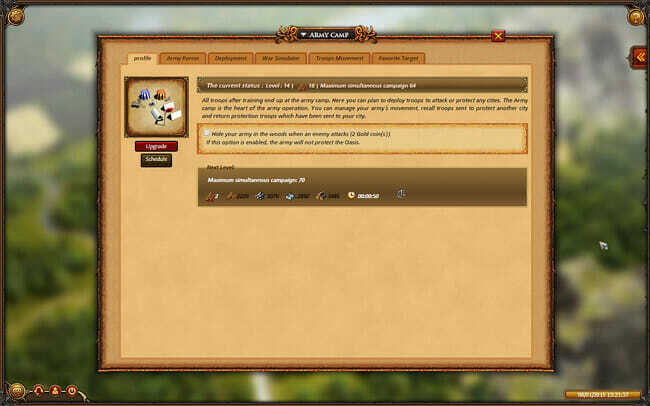 Some will give you additional bonuses when mining iron or stone for example. You will then be taken through a tutorial that is certainly in-depth, as it will take you through everything that you need to know about the game. You do have the option to skip this tutorial but this is not advised. 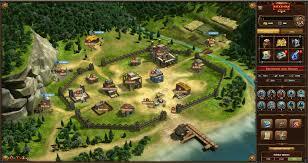 Once the tutorial is completed, you are pretty much on your own in a world filled with other players and their kingdoms. Although the game is open PvP, which means players can attack other players whenever they want, when you first start out you are given protection for a set time. It is strongly advised that you use this protection period wisely by learning how to play the game, collect a decent amount of resources and possibly look for an alliance that you can join. Alliances can offer you added protection as other players will think twice about attacking a player that has some back up that could then gang up on him. 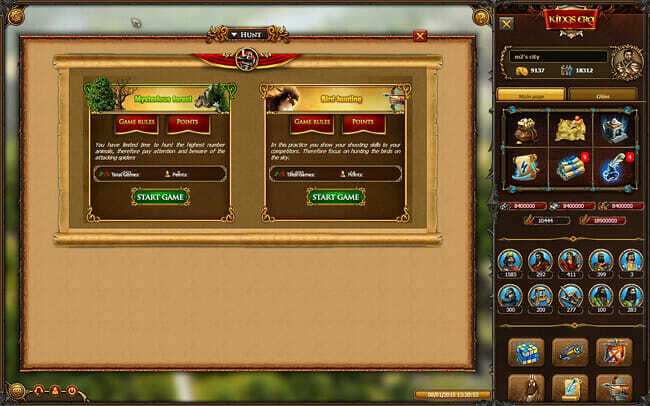 What makes Kings Era stand out is that there is a regular server wide competition held that hands out rewards to any players that manage to complete the many objectives, with those rewards usually being either in-game tokens or even real money. Graphically, King’s Era really is a sight to behold, especially once you have sufficiently built up your kingdom. Everything just looks great and you end up with a real sense of pride at what your hard work has resulted in. King’s Era has a lot of competition in the MMO world as there are just so many different games that you can play, yet whilst it might not stand up against the very best of them, King’s Era is highly enjoyable and has plenty of features that allow it to stand out. With King’s Era being free to play with some real money elements, it means that you literally have nothing to lose by trying it out and seeing if you have what it takes to make it to the end. King’s Era is highly enjoyable and has plenty of features that allow it to stand out.